Dubai, UAE – 06 November 2018 –The Ritz-Carlton, Dubai International Financial Centre has welcomed Chef Altamash Iqbal to the luxury hotel ahead of the Diwali festival of lights. Chef Altamash will oversee specialty restaurant Cara, a sophisticated dining experience that offers an international menu blending European, Indian, Asian and Middle Eastern influences, as well as developing specialty menus for seasonal events and festivities. 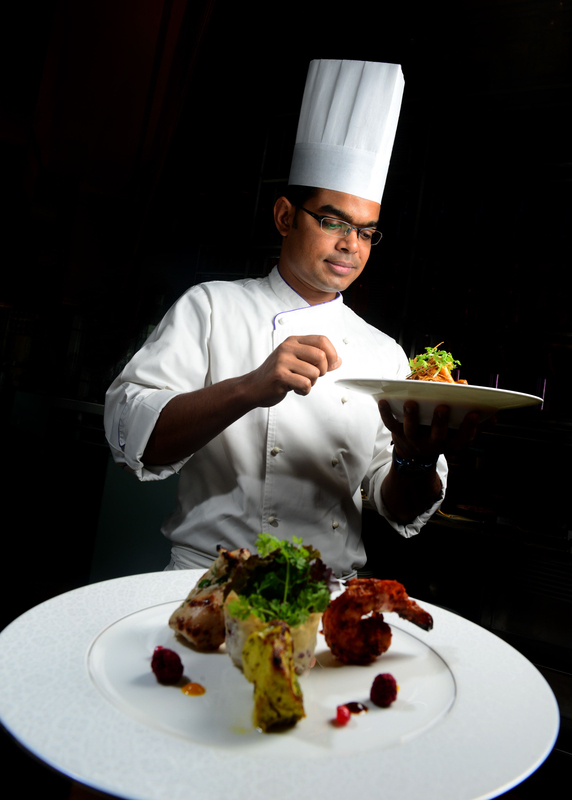 Joining the hotel from The Ritz-Carlton Bangalore, Chef Altamash brings more than 12 years of experience to the property and is passionate about delivering unparalleled culinary experiences and developing the hotel’s diverse gourmet offering which celebrates the cuisine of the Indian subcontinent. As Chef Tournant, Chef Altamash will also oversee banqueting and catering for weddings and large scale events at The Ritz-Carlton, DIFC..
At The Ritz-Carlton, Dubai International Financial Centre Chef Altamash shares the time honored culinary traditions of his Northern Indian hometown, Lucknow and is a veritable force within the glittering space of Indian cuisine. Having refined his culinary craft during his time with The Ritz-Carlton, Hong Kong and The Ritz-Carlton Bangalore, he brings an artful blend of epicurean principles, with a deep respect for fresh and flavorsome ingredients. Chef has also overseen a number of Indian food festivals at The Ritz-Carlton, Shenzhen, The Ritz-Carlton, Jakarta and The Ritz-Carlton, Chengdu, developing exciting interpretations of ancient family recipes. Guests visiting The Ritz-Carlton, Dubai International Financial Centre between 6 – 13 November 2018 are invited to join Chef Altamash and his team for a spectacular culinary celebration ahead of Diwali. The Hindu festival of lights signifies the victory of light over darkness and Cara under the helm of Chef Altamash will unite families and friends, whilst offering an abundance of food with an authentic dining experience and live cooking stations. Executive Chef Andreas Schatzschneider, The Ritz-Carlton Dubai International Financial Centre commented: ‘We are very pleased to welcome Chef Iqbal to The Ritz-Carlton team. He brings an abundance of experience in delivering treasured experiences to gourmands across Indian, China and Hong Kong and we are very pleased to have him join us here in Dubai to share his culinary heritage and expertise with our valued guests’. The special Diwali menu presented by Chef Altamash will showcase signature recipes which grace the menus of Cara Restaurant. The first is a hearty Murgh Dum Biryani synonymous with the traditions of Hyderabad. This succulent chicken dish is created using julienne ginger, saffron and fresh chili, alongside a sprinkle of turmeric, red chili powder, cardamom and coriander to create a mouth-watering aromatic flavor, whilst the second is a simple vegetarian Palak ki Shammi dish featuring pureed spinach, green chili complimented with fresh mint which brings to life the flavors of the Indian Subcontinent. The Diwali package is available from AED 295 with soft drinks, AED 395 with house beverages and bubbly and AED 495 with premium beverages and premium bubbly per person and AED 130 for children up to 12 years old. Complimentary for children under seven.